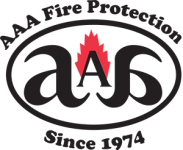 AAA Fire Protection Services is the company that Modesto commercial kitchens turn to for comprehensive kitchen hood systems and commercial restaurant exhaust cleaning. As an expert in fire suppression and fire prevention, we understand UL300 regulations. That expertise helps us help our clients repair compliance issues and maintain compliance with California fire code. Our complete set of commercial kitchen services includes restaurant hood fire systems, expert grease exhaust cleaning, and a UL300 compliance grease filter exchange service. AAA Fire Protection Services replaces noncompliant exhaust hood filters with UL approved baffle - 18-gauge galvanized, UL-listed approved grease hood filters. Our 40 plus years of working with commercial kitchens and within the fire suppression and fire protection industry allows us to have an expert status, which helps your business remain in compliance and to also decrease the risk of fire in your commercial kitchen. To learn how your business can work with our company, just give us a call at (800) 543-5556. Our professional team is happy to answer your questions or to schedule a walk-through so we can provide you with a personalized quote.